Tarceva Plus Gemcitabine After Surgery for Pancreatic Cancer ? Gress and colleagues from the University of Marburg in Germany published the results of a Phase II trial in the October 2013 issue of the Annals of Oncology, the official journal of the European Society for Medical Oncology. They did a prospective multi-center study of 76 pancreatic cancer (ductal adenocarcinoma of the pancreas) patients over a two-year period which offered the adjuvant regimen of gemcitabine in combination with cetuximab (Tarceva) to patients for a 24 week period post-pancreatic cancer surgery. The authors compared the results of these pancreatic cancer study subjects to previously reported survival statistics at 18 months of a 35% disease-free survival rate for gemcitabine alone. Their conclusion was that adding Tarceva to the gemcitabine did NOT improve either disease-free survival or overall survival of those with pancreatic cancer receiving this combination above receiving gemcitabine alone. Posted in Medical Research, Pancreatic Cancer, Pancreatic Cancer Clinical Trials | Comments Off on Tarceva Plus Gemcitabine After Surgery for Pancreatic Cancer ? There are legitimate controversies in pancreatic cancer. Often over time, the pendulum can swing to one side or the other of a scientific conflict – as new evidence supports a contention or not. Sometimes, with a greater understanding of the complexity of an issue, both sides can even turn out to be right – or wrong. For example, one legitimate controversy that has been raging for over a decade now, is whether adding radiation to chemotherapy will help increase patient survival after receiving surgery for pancreatic cancer (ductal adenocarcinoma of the pancreas). There are some interesting recent studies on this topic but the issue is not yet fully resolved. Below are discussions of recent studies on THREE such issues that have been matters of some inquiry and even controversy in pancreatic cancer. These results are not presented as definitive (as the pendulum never fully settles in real science) but they are fairly compelling – for now. We should probably herewith highly complement the authors of these studies – as often studies that don’t show a “positive” outcome tend NOT to get published. This phenomenon results in what is called publication bias, and represents a skewing of reality through an inadvertent withholding of what is deemed worthy of being published – and therefore distorts the meaning of the medical literature. Increasingly, we at Pancreatica have noticed that authors have more recently been bucking this trend, and commendably have started often publishing studies that do not have what are seen as positive results. Coffee intake is not a causative element for pancreatic cancer European and Malaysian researchers published work in the November 2013 issue of Clinical Gastroenterology and Hepatology, the journal of the American Gastroenterological Association. The researchers examined data from the European Prospective Investigation into Nutrition and Cancer, and found NO association between coffee, decaffeinated coffee or tea intake and the risk of pancreatic cancer. Helicobacter pylori (bacteria) is not a cause of pancreatic cancer Researchers from the Division of Cancer Epidemiology and Genetics of the U.S. National Cancer Institute E-published an article on October 2, 2013 for the journal Cancer Epidemiology, Biomarkers & Prevention, a publication (in part) of the American Association for Cancer Research. These authors in a nested case-control study looked at a group of Finnish males in the Alpha-Tocopherol, Beta-Carotene Cancer Prevention Study, and found no association between H. pylori antigen status (bacteria associated with peptic ulcer disease) in the subjects’ serum and the risk of pancreatic cancer. Metformin exposure does not increase survival in pancreatic cancer Yang and colleagues from the University of Pennsylvania published the results of a retrospective cohort study in the October issue of the journal Pancreas using data from The Health Improvement Network. The authors found that there was no difference of overall survival in those with pancreatic cancer who were exposed or not exposed to the diabetes drug: metformin. 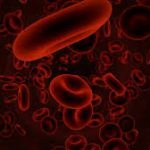 As noted in an earlier blog, GVAX is a kind of vaccine that appears to work by enhancing “granulocyte-macrophage colony-stimulating factor” (GM-CSF) which in turn enhances white blood cells including monocytes that can somewhat freely move and have the ability to transform into so-called “professional” antigen-presenting cells such as macrophages and dendritic cells – which can augment the internal immune system’s own ability to fight cancer. We were alerted to recent GVAX work by David Desert, and want to thank him for this. In an article first presented by electronic release on September 18, 2013, Laheru and colleagues from Johns Hopkins University published work in the Annals of Surgical Oncology that noted a possible relationship between hematologic status and survival in patients with pancreatic cancer (ductal adenocarcinoma of the pancreas) who had received treatment with GVAX. The researchers studied 59 pancreatic cancer patients in an existing Phase II clinical trial who received adjuvant chemoradiation plus GVAX after initial surgery. The Hopkins team found that those who carried a baseline total lymphocyte count of less than 1,500 cells per mm³ were at higher risk of poor overall survival and of progression-free survival from their pancreatic cancer. The authors also found that the chemoradiation treatment significantly reduced lymphocyte counts from baseline levels, and that those patients with such suppression to lower than 500 cells per mm³ were also at a disadvantage in terms of overall pancreatic cancer survival and of progression-free survival. This is an interesting study that links potential efficacy of treatment (or lack thereof) of pancreatic cancer with immunologic therapy under conditions of immunosuppression. These are early findings with a number of potential confounders, but nonetheless a highly interesting study result.